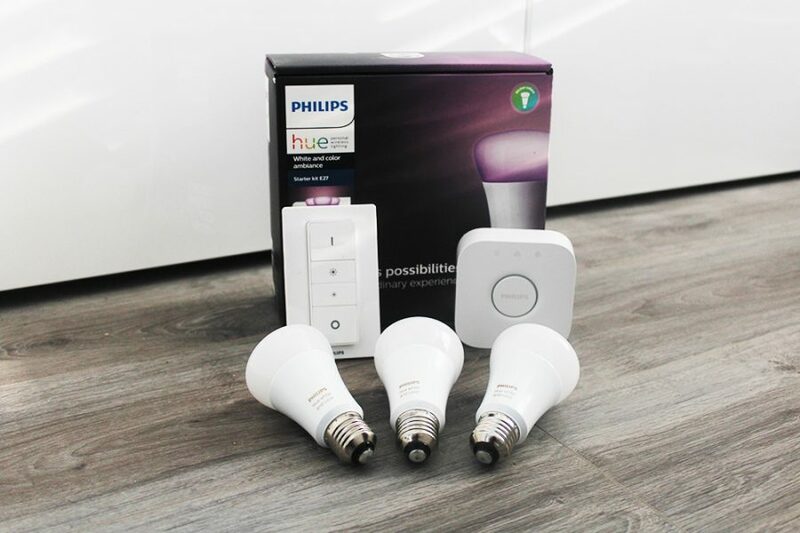 The motion sensor is a great add on for hue bulbs, and at the moment it is designed for indoor use only, that being said many people have used this outdoors without any issues, but Philips may just be planning one designed for specifically outdoor use. 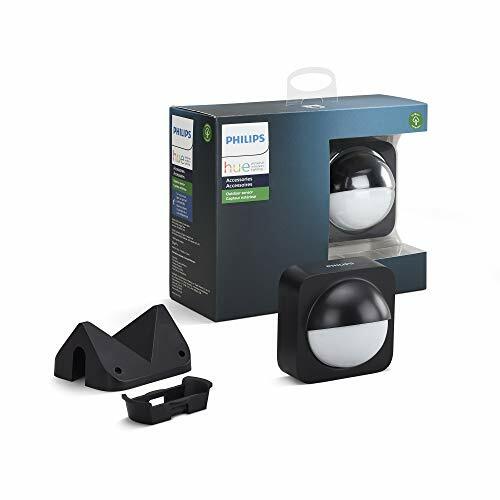 Philips have announced the release of an outdoor motion sensor at CES 2019. 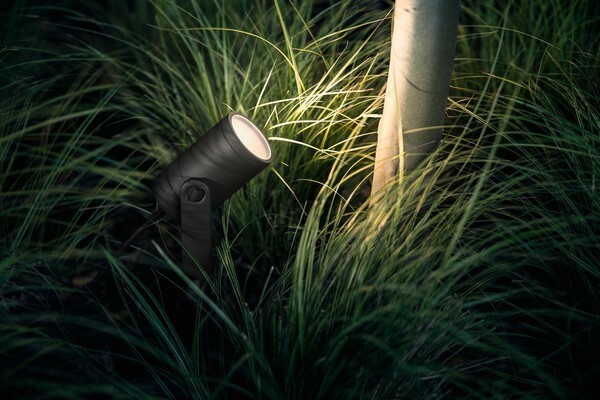 The Hue PIR sensor has a built-in twilight sensor switches on the light only when it is dark outside. 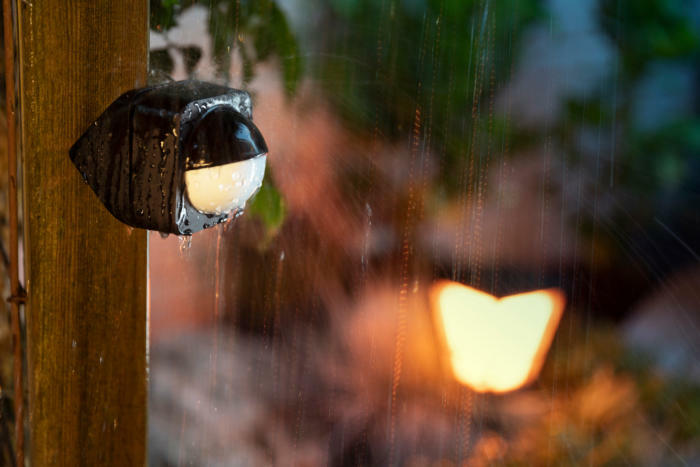 We expect it to work in a similar way to the indoor motion sensor however designed to be better mounted outside and also weatherproof. The motion sensor can be installed on a wall or mounted on a corner as shown in the image below. At the moment it looks like the sensor comes in black only, it would be great if there was a white option too. It would certainly look more discreet in the photo below on that white pillar. With the release of a whole range of different Hue outdoor bulbs, lights and fittings it makes sense for an outdoor sensor to be released, how different it will be to the indoor one we don’t know, but by the looks of it, instead of redesigning and realising a new motion sensor that can be used indoors and outdoors, it is going to release one septically for outdoor use. With outdoor use it could have a large detection range making it suitable for security which would be a good and useful feature. Do you need and want one? Or do you use your indoor motion sensor outdoors already? 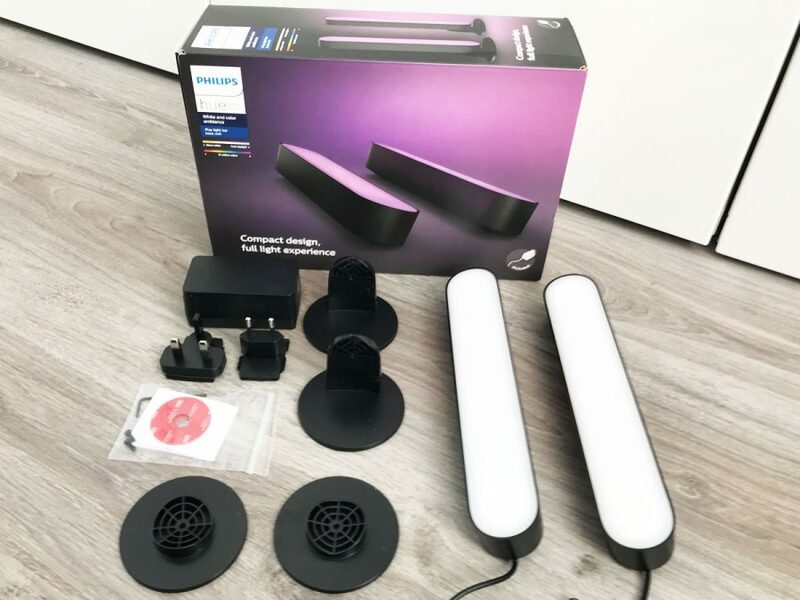 I can’t really see the point of spending much money on outdoor Hue lights without the sensor, so this is good news – I definitely want one! I’ve had the indoor sensor outside for a couple of years with no problems. Works well. Anyone know if this will be released in the UK in Feb as well? Needs to be a white option! Like all my outdoor security lighting to be hidden as possible! Agree with this! They have white and black play bars, think the same options are needed here too. Hello, Anyone know if this can measure the temperature? Thank you. Just got mine. Little larger than I expected but nice solid construction, excellent mounting options. Yes it does have light and temperature sensors too, same as the indoor model. I have one issue with mine. The light sensitivity adjustment in the app doesn’t work. Could be I’ve been unlucky and have a faulty one. Basically no matter how insensitive I make it the lights come on during the day. Hopefully I’ve got a dodgy one, if not a software fix might be needed! Just got mine also. Seems to be the same issue it turns the light on during the daytime. Hopefully the update the base station to handle more connected things too! Same problem as many others – the sensor cannot measure current light level. Hoping for a bug fix soon. Sounds like this isn’t quite ready for prime time yet. A motion detector that turns on the lights in the middle of the day makes it kind of useless. The temperature feature is nice though. Only being available in black is a no-no since we’d like to mount one on a white background. Perhaps even adding a beige one as well would help sales. Philips, it’s only plastic… at least make a white one!!! 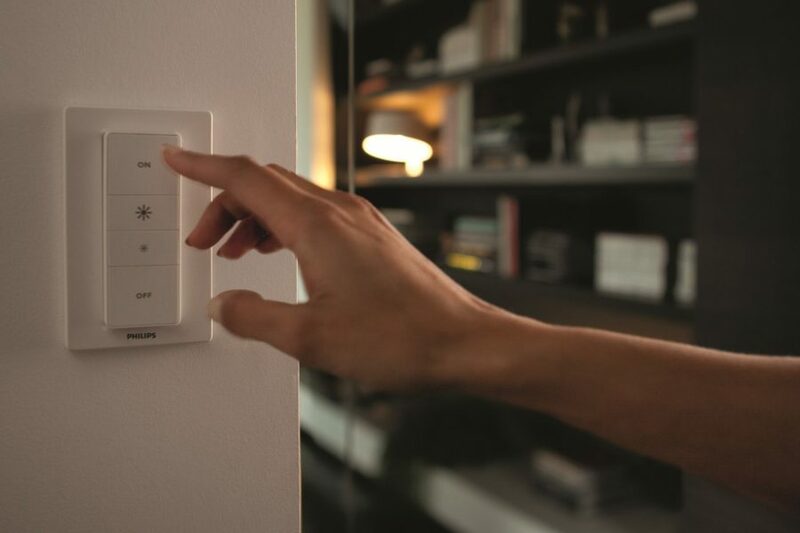 After all, who wants a motion sensor that sticks out like a sore thumb when mounted?? Until Philips makes one in white and fixes the daylight sensor, we’ll look for another company to supply an outdoor sensors. Anyone else experiencing wildly-incorrect temperature readings as well as lighting ones? Outside my house I’ve currently got a Hue indoor sensor displaying 9ºC, an Elgato/Eve Weather displaying 9.5º, and a Hue outdoor sensor displaying 24.5ºC! I think a firmware update is needed quick smart! While you’re at it Philips, can you please give the indoor sensor the same ‘No motion’ settings that the new outdoor one has?! There is a new update for the Hue motion sensor, check your app for new updates. Does anyone know how far away from the Hub can this outdoor sensor be located? I did not find that information in any of the documentation. 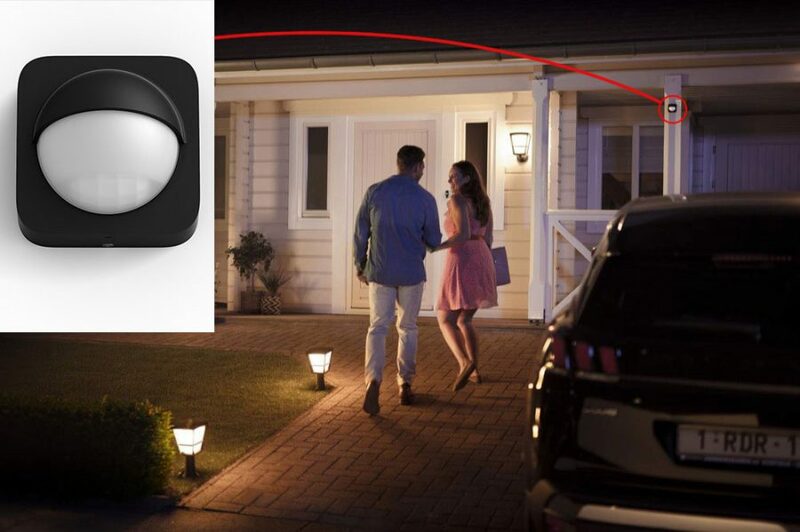 For instance, the Wink outdoor motion detector manual states that it has to be within 30ft of the Hub. 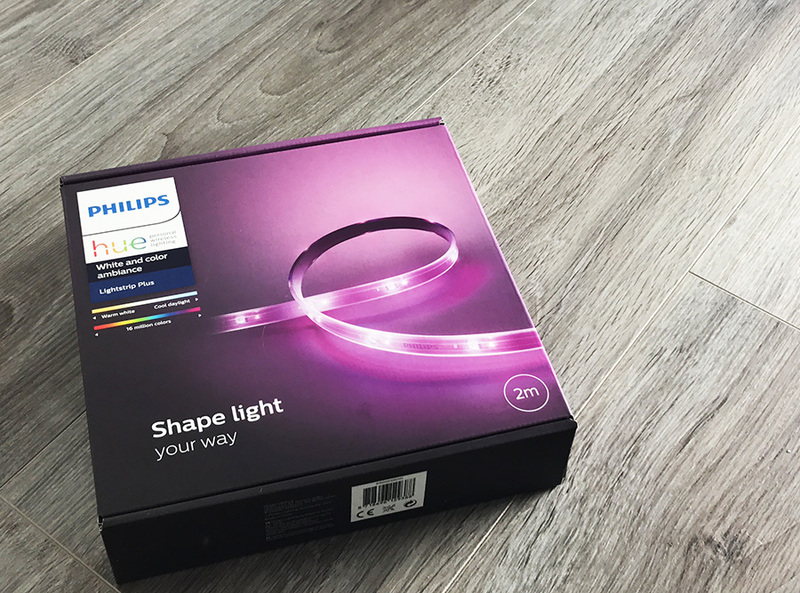 Hi Mark, Hue uses Zigbee, so if you have Hue bulbs in-between the bridge and your sensor, then this will allow the sensor to be further away, of course things can effect this as it is wireless, such as walls, appliances and the sensor being outdoors. So there is no definitive answer as there are a few variables, but if you have working hue bulbs away from the bridge but close to where the sensor will go, then it should work fine. Version 6.1.1.27575 of the software was available 2 days before you posted. Download it and give it a try. It supposedly fixes the light level sensor problem. No, the outdoor sensor only works with the 2nd Gen Bridge.